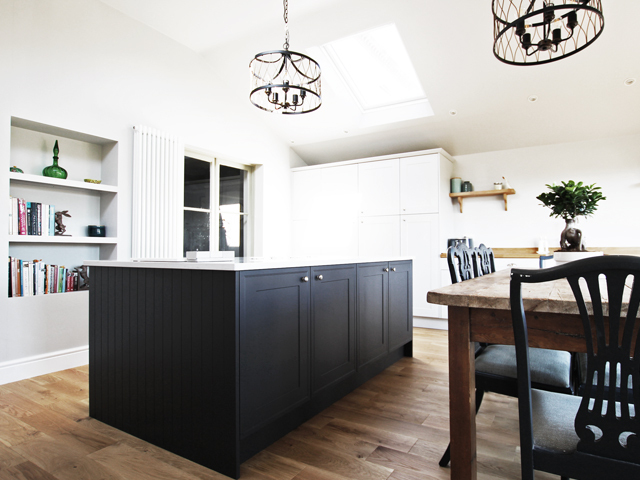 This project in a Victorian home in South Norfolk was to demolish an existing single storey galley kitchen and build a new, much larger extension sympathetic with the existing house. 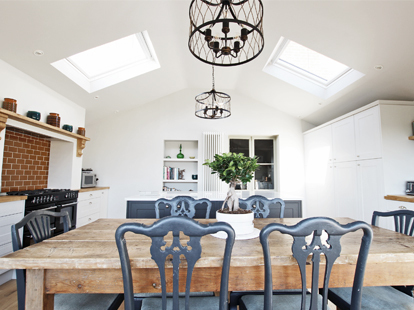 The new extension was to house a spacious, light and elegant kitchen diner with a central island with room for a family dining table. 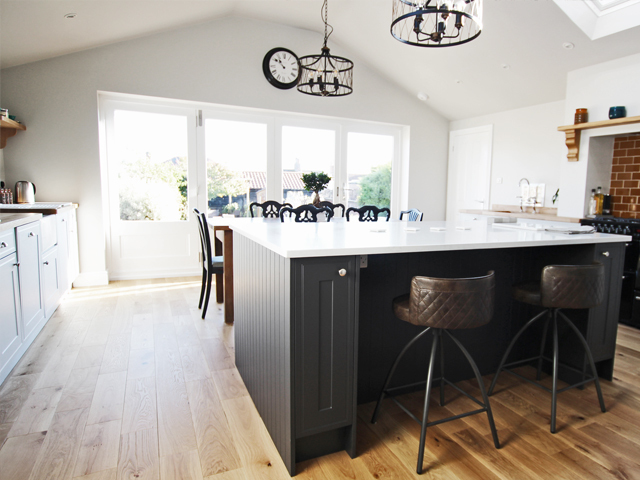 'This was a wonderful project to work on as it included creating an entirely new building in which to create an elegant, family kitchen diner. 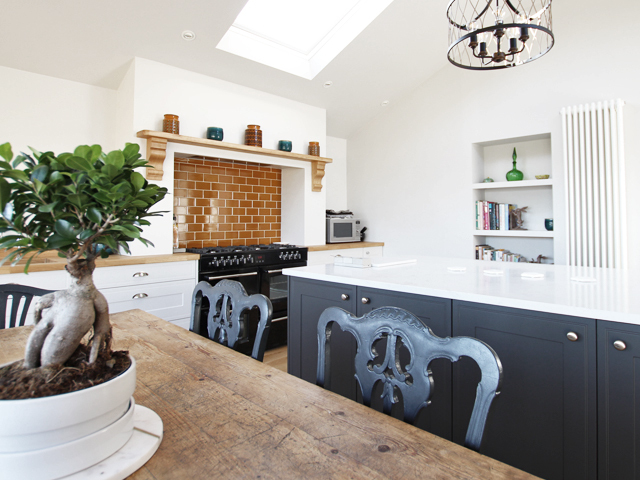 The existing single storey galley kitchen in this Victorian property situated to the rear of the property lacked the space that my client wished. My brief was to create a large, well-lit kitchen diner which would become a more sociable space which in turn would transform how the rest of the downstairs living space was used. exterior gable end, tying in sympathetically with the existing building. 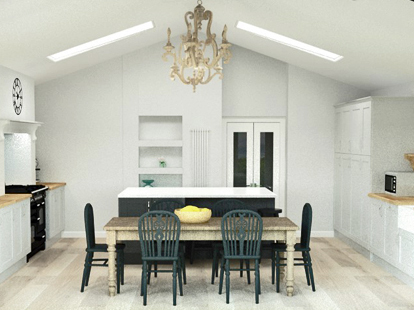 My design was for an open plan kitchen diner, with central island and room to fit a dining table. My design divided the room into distinctive zones; cooking and cleaning, eating and food and storage. Making such distinctions ensured the space functioned practically. The palette I chose consisted of natural tones with commentary contrasting colours. 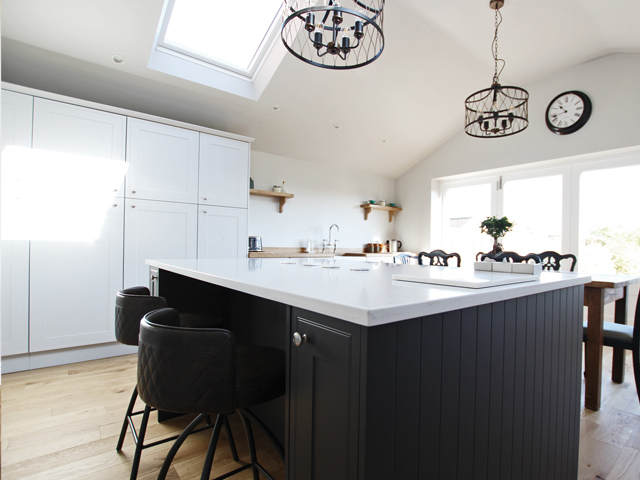 Light grey cupboards contrasted well with the darker graphite tone of the central island. For worktops I installed a solid quartz white worktop on the central island and full stave oak worktops with matching oak shelves. A bespoke mantel and corbels in oak worked beautifully with the mustard tiles of the range cooker splashback. 'We cannot speak highly enough of Rebecca, Thomas and the team. They managed our entire kitchen/diner extension from demolition, new build, electrics, plumbing, design and kitchen installation. 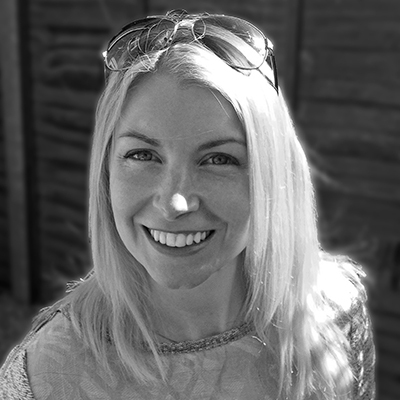 'Rebecca’s attention to detail and professionalism shone through and the entire project was completed on time and in budget. 'All her team were courteous, took pride in their work and were respectful of the fact that we were living in the building site!